Anabond manufactures fine quality Industrial Cleaners and degreasing agents which can be used for different cleaning and preparatory applications. 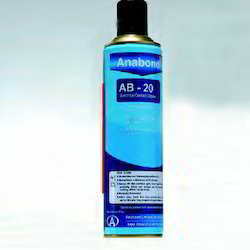 Use of Anabond Industrial cleaners with Anabond adhesives and sealants ensures better adhesion. Our product range includes Heavy Duty Industrial Cleaner, Electrical Contact Cleaner, Releez, Bio-Green and Multipurpose Spray. · Easily sprayable on mechanical components. Anabond AB 40 is sprayed over the surface. It dissolves the oil dirt and other greasy material on the surface. remove oils, grease, fuels, lubricants & rust particles from machine parts. 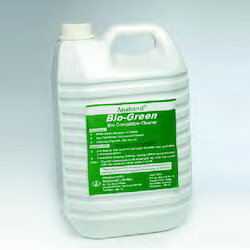 Anabond Bio-Green will clean metal, plastic, rubber, porcelain, concrete and wood surfaces though a biodegradable proprietary formula safely, effectively and economically. Anabond Multipurpose Spray when sprayed forms a thin film and adheres to all the metal surface to lubricate, penetrate, loosen rusty particles, clean, remove moisture, and prevent rust & corrosion. Industrial, Automotive, Battery terminals, Chemical, Home appliances, Textile, Telecom Pneumatic, Railways and wide range of general purpose maintenance. 85ML, 340ML and 500ML in aerosol containers. 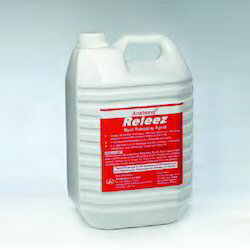 Releeez, a rust remover, is a mixed acid based concentrate used to remove rust and to clean metal surfaces. It very good degreaser designed to remove bitumen and tar deposits from heavy equipment and vehicles. It cleans tarnish, oxidation, stains, fingerprints and scale from iron, steel, copper, brass and aluminum. · Excellent wetting capacity on both ferrous and non-ferrous metals. As a rust remover (ferrous and non-ferrous): dilute concentrate with 15 to 20 parts water. Metal may be immersed, brushed or wiped until the desired brightness is obtained. We manufacture superior quality Electrical Contact Cleaner for industrial purposes. It is used for the cleaning of electric relays, circuits and switch terminals. In their manufacture, we use optimum quality raw materials procured from trusted vendors. This cleaner is available in packaging of varying sizes and at affordable prices. · Easily sprayable on electrical and electronic contacts. Looking for Industrial Cleaners ?